On May 25, 2017, more than 40 participants joined us for this engaging session of professional development led by Serena Kataoka (Executive Director of the White Water Gallery) and Holly Cunningham (Executive Director of Near North Mobile Media Lab) to discover some of the many forms Indigenous art can take, explore the work of local and national artists and engage in discussion around these works. 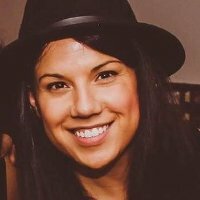 Tanya Lukin-Linklater, Director of the Office of Aboriginal Initiatives at Nipissing University, also spoke about the many ways Indigenous art can be formed, and also about some of her work that speaks to Treaty. Participants had the opportunity to contribute to a unique piece of beading in a networking session led by local artist Brenda Lee, and learned about the Wampum belt project in a discussion led by Melanie Lanois, also from the Office of Aboriginal Initiatives. Attendees were able to network with peers to explore collaborative and partnership opportunities with other arts and learning professionals from a variety of sectors and leave with new tools and ideas to rejuvenate their classrooms, workplaces or artistic practices. There was also a presentation and discussion regarding The Canadian Network for Arts & Learning's ‘Mapping Project’ – an innovative digital map representing arts and learning across Ontario. Through focus groups and guided discussion, participants were invited to help guide the development of this vital tool for arts and learning in Ontario. Read the Summary of Findings report for the North Bay Hub. Dr. Serena Kataoka has a PhD in Political Science from the University of Victoria. She is currently the Artistic and Administrative Director of the White Water Gallery, North Bay.Threading through Serena's academic teaching and research, community-based work, and artistic interventions is a commitment to improving our ways of living together here – on Nipissing territory in particular, and in our emergent global milieu. Holly Cun­ning­ham is a grad­u­ate of Sheri­dan College’s Media Arts pro­gram with a back­ground in tele­vi­sion and film pro­duc­tion. Most recently she com­pleted a Fine Arts degree from Nipiss­ing Uni­ver­sity, which prompted her move to north­ern Ontario. Work­ing as the man­ag­ing direc­tor of the Near North Mobile Media Lab, Holly is actively involved in the arts com­mu­nity of North Bay. She cur­rently sits on the exec­u­tive board of the White Water Gallery and is chair of Ice Fol­lies Bien­nial, an exhi­bi­tion on frozen Lake Nipiss­ing. With an artis­tic back­ground in video and paint­ing, she is cur­rently focus­ing her cre­ative energy on releas­ing her first EP as a pro­fes­sional musician. 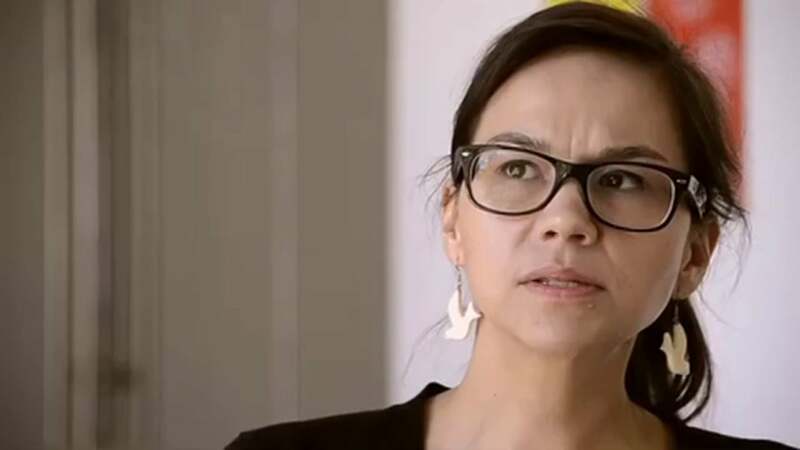 Tanya Lukin Linklater's performance collaborations, videos, and installations have been exhibited nationally and internationally. Her work has been exhibited and performed at EFA Project Space + Performa, NYC, Museum of Contemporary Art Santiago, Chilé, SBC Gallery, Montreal, Western Front, Vancouver, Images Festival + Museum of Contemporary Canadian Art, Toronto, Remai Modern, Saskatoon, Art Gallery of Alberta, Edmonton, and elsewhere. In 2016 she presented He was a poet and he taught us how to react and become this poetry (Parts 1 and 2) at La Biennale de Montréal - Le Grand Balcon curated by Philippe Pirotte. Other collaborators in recent years include composer and musician, Laura Ortman, in NYC and cellist, Peggy Lee in Vancouver, dancers, Miqu'el Dangeli, Ziyian Kwan, Ceinwen Gobert, Daina Ashbee and Emily Law (among others), writer, Leanne Simpson and artist, Duane Linklater. Tanya's poetry and essays have been published in C Magazine, BlackFlash Magazine, Yellow Medicine Review, Taos International Journal of Poetry and Art, Drunken Boat, Ice Floe, and in publications by Whitney Museum of American Art Independent Study Program, Kitchener Waterloo Art Gallery, Access Gallery, Western Front, and McLaren Art Centre. Tanya studied at University of Alberta (M.Ed.) and Stanford University (A.B. Honours) where she received the Mellon Mays Undergraduate Fellowship and the Louis Sudler Prize for Creative and Performing Arts. She was awarded the Chalmers Professional Development Grant in 2010 and the K.M. Hunter Artist Award in Literature in 2013. She originates from the Native Villages of Afognak and Port Lions in southern Alaska and is based in northern Ontario, Canada. Brenda Lee is a first nation Cree women from Ermineskin Band located in Maskwacis Alberta. She grew up with 5 brothers and 5 sisters. Brenda was fortunate to have spent her formative years with her nohkom Nancy Oldpan, teaching her how to sew, bead and learn the cultural teachings. Brenda developed the interest and wisdom in the art forms and later acquiring certificates in Native Cultural Arts Instructor, Artisan and Advanced Arts 2005/2007 from Portage College in Lac La Biche Alberta. Brenda was able to work in communities teaching in cultural camps, rites of passage, 13 step home tanned hides, teepee making workshops, moccasin making, harvesting porcupine quills, regalia making, ceremonial articles, producing items for private collections, and contemporary jewellery. Brenda’s focus is on restoring our Cultural heritage through the arts, specializing and working primarily within the cultural arts programs. She is able to deliver a professional step by step instructional workshop to develop and construct a superior quality product, to expand and enhancing creativity in reclaiming our pride as First Nations peoples. It is important for Brenda to teach individuals who are willing to learn about the creation of the product and what it takes to produce it. Brenda relocated and resides in Beautiful Nipissing First Nation in Ontario and continues to Instruct with natural and contemporary materials and is becoming a sought after Artisan. The North Bay Eduarts Hub was presented in partnership with Nipissing University.